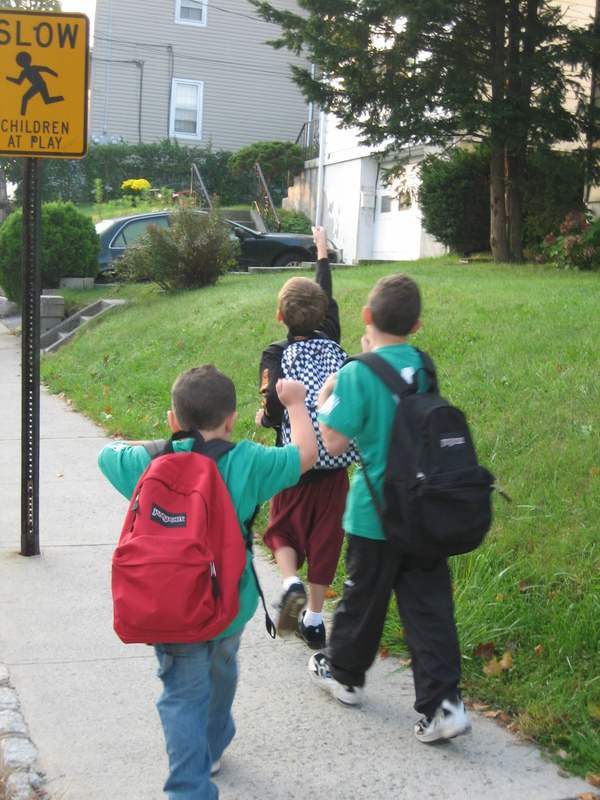 Did you know walking and biking can be a fun and easy way to get to school? Using your feet or a bicycle can make you stronger and healthier, and give you more independence. It can have a positive effect on your life, your community, and the world. Here are 10 good reasons to walk or bike to school. 1) Get some exercise: Had a long day at school? An activity like walking or biking that gets the blood pumping can help clear the mind. Plus peddling a bike develops muscles to make you stronger and more coordinated. 2) Get outdoors: Get out in the sun and soak up some vitamin D! It supports your immune system, which can help promote good health. 3) Improve your test scores: More and more researchers are showing that a little exercise in the morning improves student test scores. No extra studying required! 4) Breathe easy: The more people who walk and bike, the better our environment will be for the people who will be here longest—kids! Fewer cars means better air quality, and better, cleaner air means you’ll lead a longer, healthier and more enjoyable life. 5) Encourage slower, safer car traffic: Drivers slow down when they see you and your friends walking and biking. And when neighborhood drivers slow down, everyone else slows down, too, making our roads safer for everyone. 6) Be a future safe driver: When you’re old enough to drive, you’ll be ahead of the curve. The more practice you have navigating the rules of the road as a bike rider or a pedestrian, the better prepared you are to be a knowledgeable and attentive driver. 7) Give your neighborhood character: More people out on their bikes or walking, and fewer people in cars helps make your neighborhood safer, quieter, and friendlier. Get to know your neighbors and your neighborhood on a bike or on foot. 8 ) Don’t wait for a driver’s license: Riding a bike or walking can give you more independence to explore your neighborhood and get you where you want to go, even before you can drive. 9) Show off your personality: There are numerous types of bicycles to suit your riding style, and endless possibilities with all the bells and whistles available to give your ride some extra pizzazz. 10) Influence your community: By walking and biking to school and giving adults your feedback, you provide important information about how to make our neighborhoods better. Lots of community leaders in our schools and local governments want to make biking and walking to school easier – and you can help them.